It is important to maintain the health of your trees through regular trimming and pruning, but sometimes it is unable to control circumstances. Whether it happens on your schedule, or in the middle of the night, tree disasters happen. It can be a devastating ordeal. Our teams are on call around the clock to take your call. Heavy rains, blustery winds and even lightning can take the decisions and control away from you. 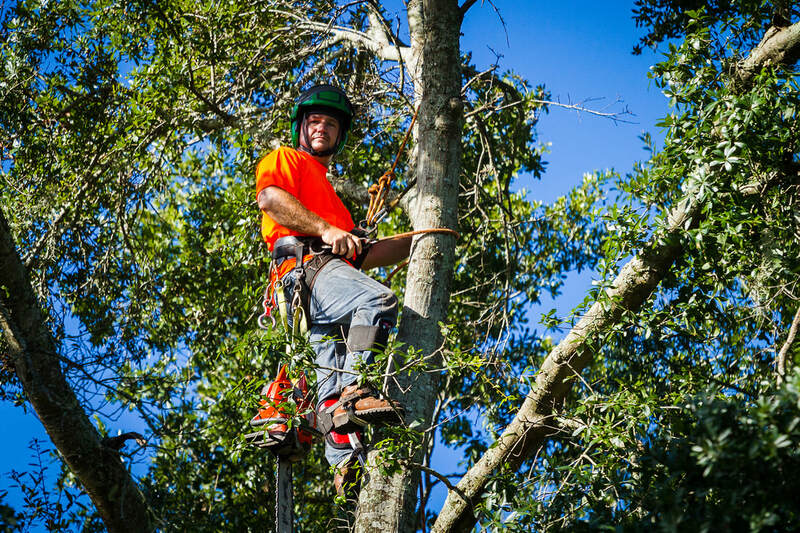 These emergencies are when you need an experienced and trained tree service team to help. 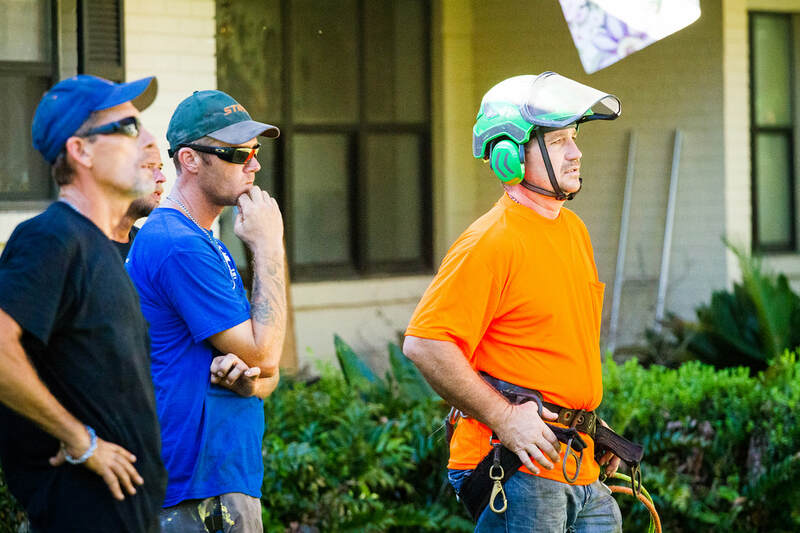 Our team has over 30 years of experience with these unexpected debacles. Certain types of trees are more susceptible to mother nature’s wrath. Though she can indiscriminately attack, there are some ways to prepare yourself for potential catastrophes and the emergency call you’ll have to make. Tall trees are prone to lightning strikes, but there are types of trees that draw this unpredictable weather condition. Pine trees, tulip trees, oak trees, maple trees are all species of trees that are statistically damaged more often than others. Old, historic trees and trees that are featured in landscaping designs as well as trees close to structures are susceptible to lightning strikes. Though lightning is unpredictable, knowing about the risk is half the battle. 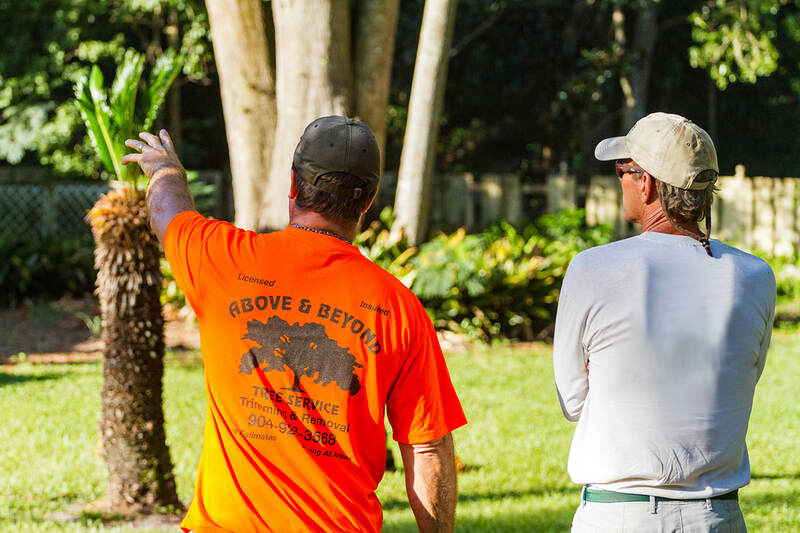 A solid landscape design with the correct species of trees along with regular maintenance can help secure your trees from potential damage from lightning. If you live in Jacksonville, you know that our rainy season can be fickle. The significant rainfall we get each year leaves our soil saturated and soft, making it difficult for some trees to maintain the integrity of their root systems. Certain trees species are left defenseless and succumb to the circumstances. Though water oaks are known for their shallow root systems that suffer during torrential rains, all trees have the potential to be uprooted during rainstorms. Large trees that are broad at the top can become top heavy and topple over when the soil surrounding their roots becomes soft. The roots simply have nothing to hold onto and the tree succumbs to gravity. 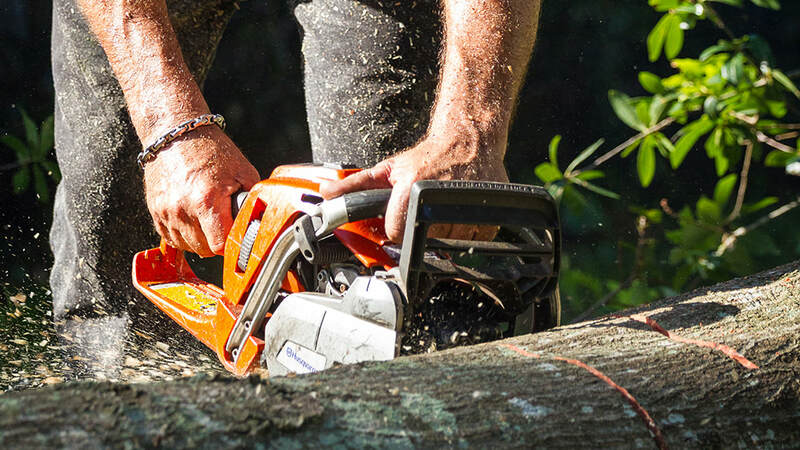 Regular trimming and maintenance during all phases of the tree’s life can cutback the top weight of a mature tree and decrease unplanned tree emergencies. Surrounded by water, Jacksonville is often the recipient of gentle ocean breezes on mild days and devastatingly strong winds during hurricane season. These winds can range between 2 miles per hour to 175 miles per hour and will wreak havoc on your trees. 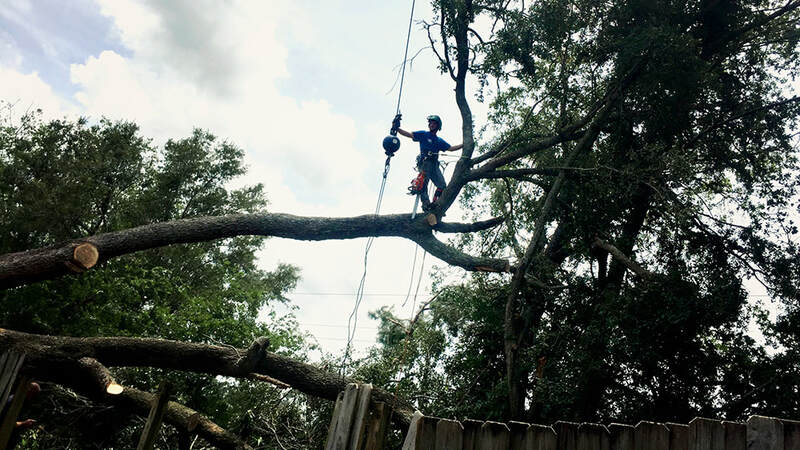 Again, tall trees with dead limbs can be particularly prone to damage, however, it is helpful to keep in mind that trees that have lived through previous tropical storm and hurricane winds can have unseen and hidden damage that can cause them to break or fall later. Trees that are in groups tend to survive wind storms better than others, though the laurel oak has a poorer survival rate in particularly blustery winds. 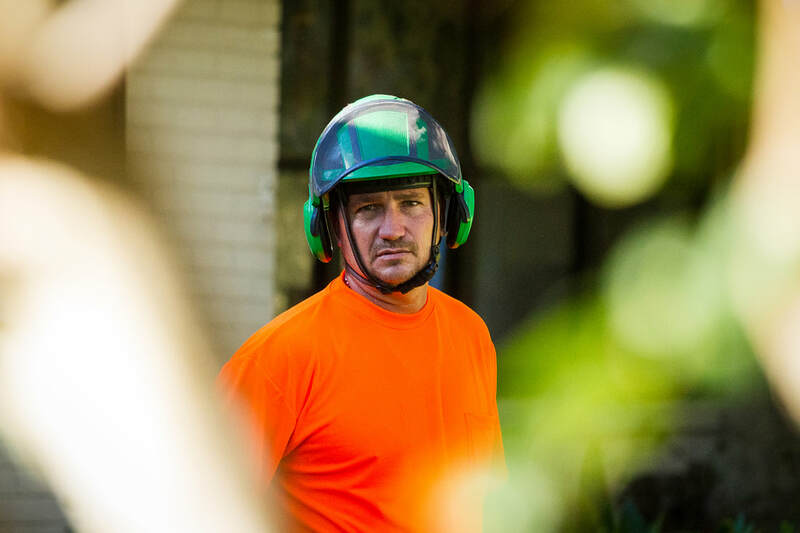 It is important to keep these items in mind when developing your next landscaping plan and prepare in advance to avoid as many tree emergencies as you can. 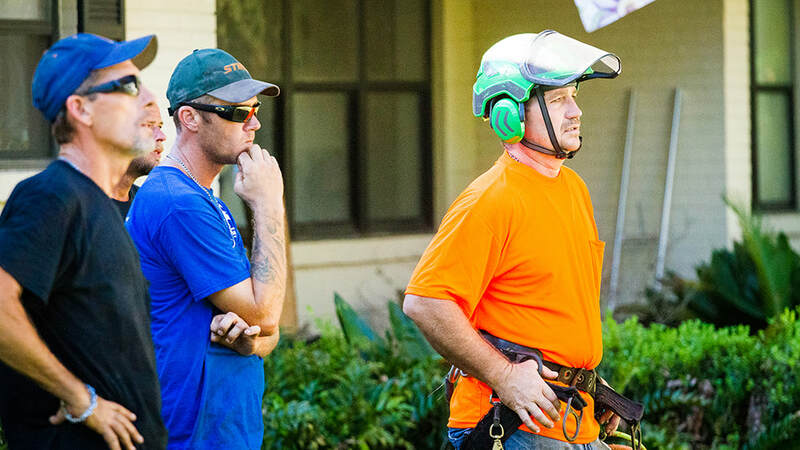 In the meantime, Above and Beyond Tree Services is here to help you.